There are a ton of potential questions, to help determine if a program is a good fit for YOU. So it’s time to ask yourself what kind of training environment you want, what populations you hope to work with and what you want to AVOID. And, before your interiew, go through the program’s website really thoroughly and cross of the questions that they’ve already answered. You don’t want to look like you’re incapable of reading. This is what will affect your day-to-day life the most. These are ‘hard’ questions, but programs expect them. Pepper them in with the next batch and you’ll appear informed and driven, not lazy. They’re prefaced with an (R) if it’s a resident only question, and with a (B) if you should ask both residents and program leaders/admin. When do residents do nights? A single week during a month of inpatient? 1-6 weeks of ‘night float’ as its own block? Do interns do nights, or only PGY-2 and PGY-3? Is this considered night ‘call’ or is there a separate call structure? Who does call? Is OB call included or separate? Are interns alone on call? Where’s the call room at – a noisy hall or a quiet place? Is there a place to get food during nights (ie: is the cafeteria closed when you’re on)? Is the program inpatient heavy during intern year, or is it equally heavy all three years? (B)Where do residents go afterwards? Do they stay in town, go to small rural places, take academic jobs, go to competitors in town? Are didactics a once-a-week session, or daily AM and noon lectures? Remember, daily AM means you will never get to sleep in, even on light rotations. Also, at some places this constant offering led to less importance being given, and both attendings and residents frequently skipped sessions. Is didactic time protected, or do residents miss them frequently secondary to patient care issues? I preferred programs who had protected time once a week, as the quality of lectures seemed better, and the weekly block led to a scheduled system of talks. (R) Are didactics improving or declining in quality? Are they worth the time to go to? Are they helping you prepare for ABFM boards? In clinic, will I have ‘my’ patients, or are they my attending’s patients? Will my clinic days always be on a certain day of the week, or will it vary? Varied days may make it difficult for you to consistently see your own patients, however, I’ve discovered many of the people who see me simply agree to come in whenever I’m in clinic. I often see other resident’s patients, and this lets me learn how they care for theirs differently, so either way works well. 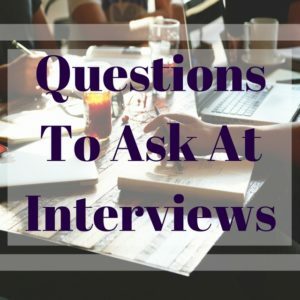 How much elective time is built-in to the curriculum, and how much of it is used for employment audition/interviews by seniors? (B) How many times per year will I be at a hospital besides the ‘home’ or ‘base’ hospital? Do I ever have to leave this city for a required rotation? (B) How often have residents left the program in the past three years. Why did they leave? (R) Is there free food, how much is put on cards monthly/yearly and does parking get paid for by the hospital? Are there any major changes to program structure, leadership (PD/Asst PD) or curriculum planned in the next year? How are residents involved in modifying the program? Are residents involved in planning didactics? What electives are popular with your seniors this year? Is research an opportunity or a requirement? What support exists for those interested? How are pediatrics and OB deliveries recorded? What’s your percentage of pediatric patients and how do you ensure residents get sufficient exposure? Does this program offer OB-heavy or OB-light tracks? What population is treated in clinic? Inpatient? Is there a large refugee population in the area? Do support staff speak Spanish (or other common second language), are there translators on site or does the program rely on translator phone services? What is the ramp-up schedule for increasing patients seen in clinic? How many FM attendings still practice OB? How do residents provide feedback? What would you consider a weakness or area of improvement in the program? What role do residents play in teaching medical students? When are residents expected to begin teaching students? Are there fellowships associated with your program? Does the program have integrated behavioral health education? Are there opportunities to be involved in any type of integrative or alternative medicine training? Are there international health opportunities?